A high level of artistry goes into each and every arrangement I create. My main strength in creating stunning bouquets is my background in art and design. Because I understand the interplay of color and texture, as well as negative space, I also know how to stretch the rules. 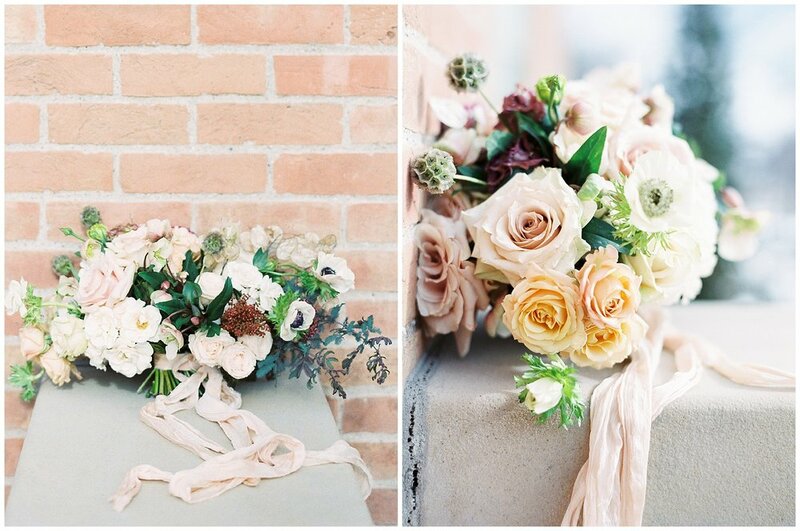 In this collaboration with Jen at As Ever Photography, we stuck to the idea of soft and subtle. 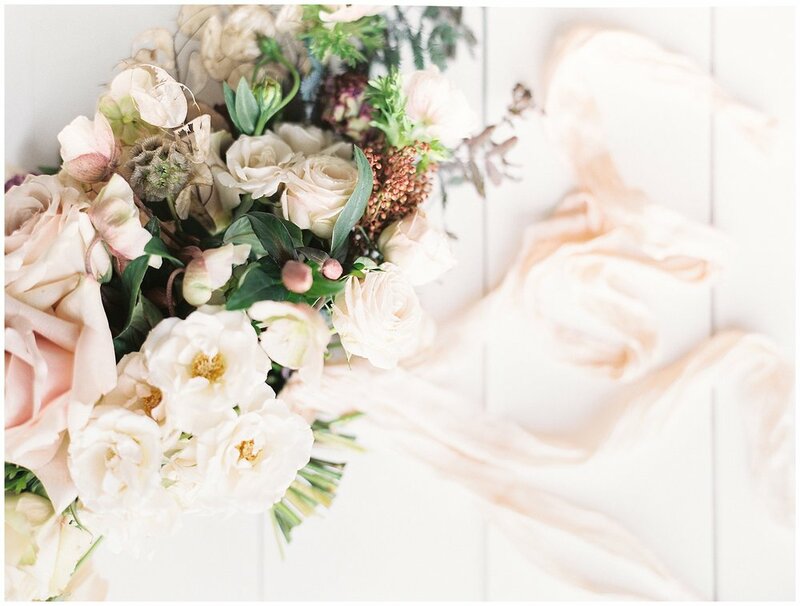 We featured ribbon amazing by HoneySilks in this shoot, and I also proved to myself that texture doesn't have to be bold or saturated. Texture can be soft and delicate and a perfect addition to any color palette or style! Jen at As Ever Photography asked if I would like to be involved in a giveaway with one of my all-time favorite ribbon makers, Honey Silks! I couldn't resist! And I was so pleased with the results! HoneySilks makes a gorgeous ribbon. If you ever need any, please go see Jaime's work! Go check out @honeysilksco and @as_ever_photography. You won't be disappointed! 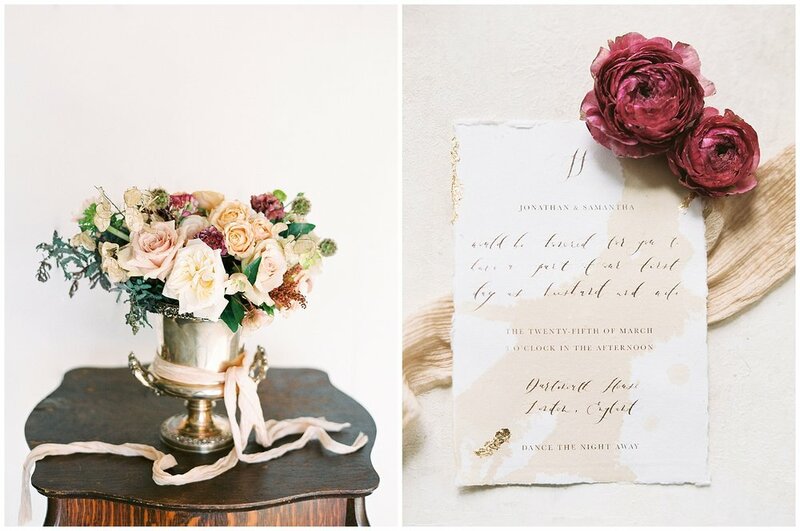 These gorgeous images were taken not only for the giveaway, but for Jen's amazing guide on fine art film photography styling. You can find the guide here: Jen at As Ever Photography http://www.aseverphotography.com/fine-art-wedding-styling/. A huge thanks to my dear wedding industry friends, who push me to stretch and grow and then give beautiful bridal images and highlight my work in such a wonderful way! Thank you!